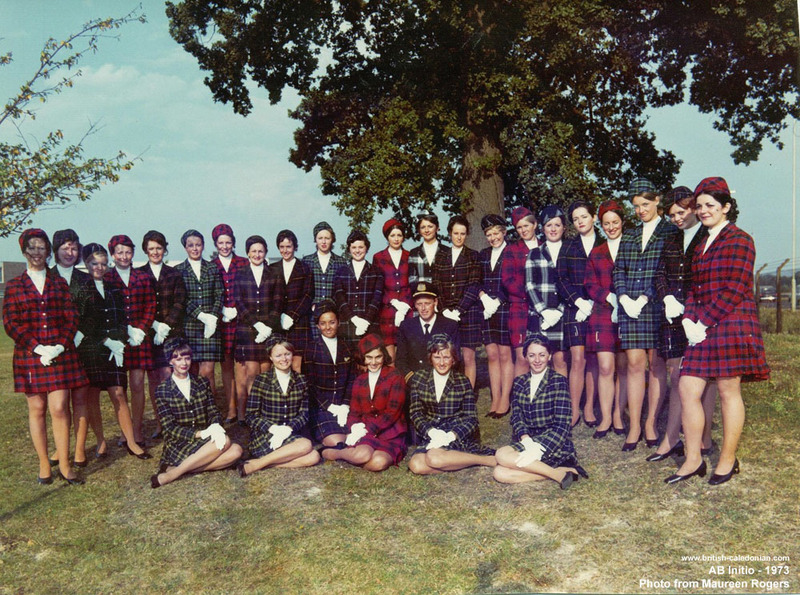 Maureen McGarvey was a Scottish hostie on the course and Maureen is 6th from the left in the back row. Her married name when with BCAL was Maureen Rogers but now she is Maureen Miller and living in Nr Horsham. Kathy Randall, Olivia Hastie, Sue Thompson, Trish Riley, Jane Atkinson, Maureen McGarvey Miller, Doreen Wise, Patricia Sharpe, Eileen Hares, Jane Strong, Margaret ?, Evelyn ?, ? ?, Janet Ball, Jackie Curtis, Ann Burrett, Monica ?, Judy Cannon, Helena McGowan, Janet Powell, Martine Claeys, Jane Paterson. Seated: Eileen Munro, Pam Morgan, Bernadette Croft, Ingrid Lindstrom, Sonia Branson, with trainers Linda Husbands and Dave ?